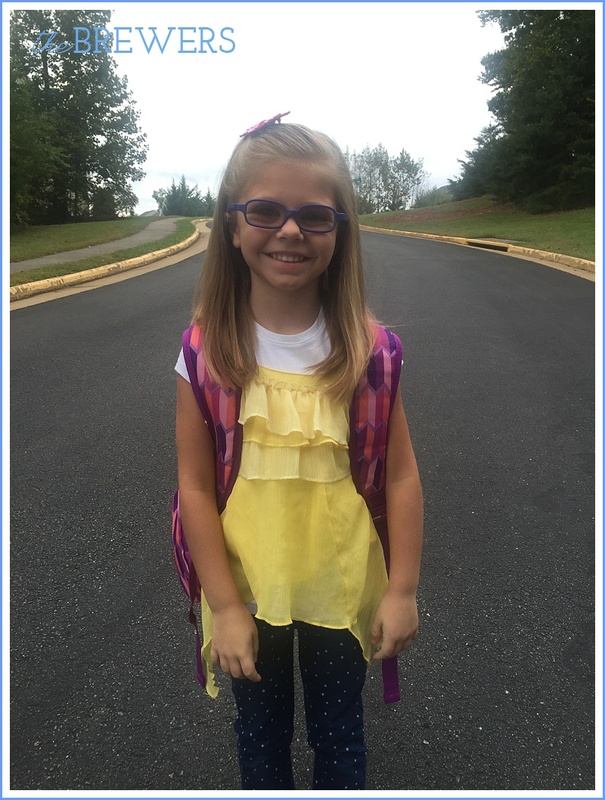 A few weeks after school started, Autumn had her first official picture day! I had always taken her portraits at the preschool, so this was a big deal and I was a little anxious trusting someone else to get a great picture. We worked together to find a really cute outfit for her portrait, something that would be cute from the arms up because that's really all you get to see. We decided on a bright yellow shirt that would really pop against a turquoise background - a color that I just love on Autumn. We practiced how to make sure her hair wasn't tucked back behind her shoulders and I hoped for the best. They took pictures in the morning, before any classes had recess. 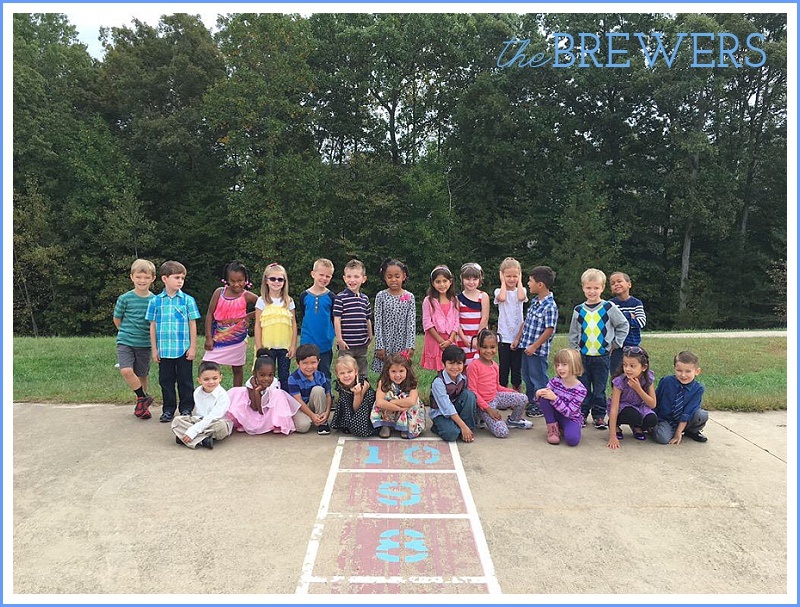 Her teacher took this photograph of the entire class. Everyone looked so sharp! A few weeks later, her picture arrived. I was so impressed! Just as Autumn began Kindergarten, she suddenly loved the camera. She didn't hesitate or fuss anymore to have her picture taken, and it absolutely showed in her portrait. You can even see her very first lose tooth! 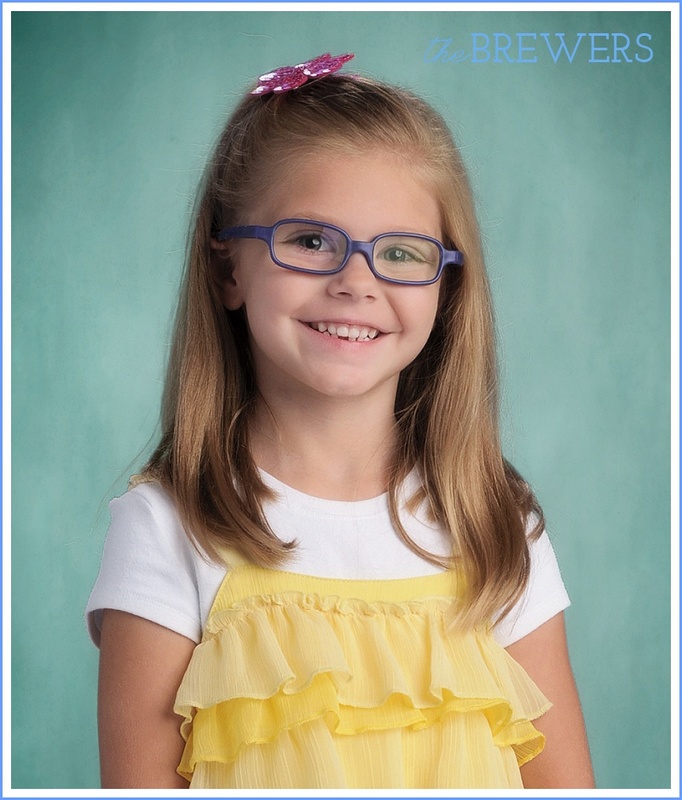 I know I am a professional photographer and I could take a more stylized Kindergarten portrait of her, but I love her school picture! 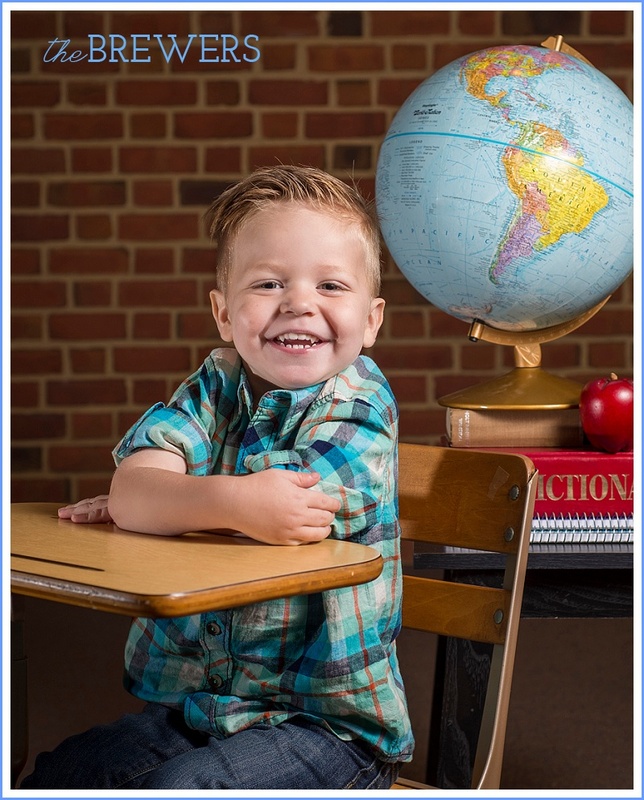 Everyone needs their first, official school picture! A few weeks after Autumn's school pictures, I volunteered at the preschool to do photos of the students. This time, I got to take pictures of Brody! My big little guy, in school! He was so excited to see me when it was his class's turn for portraits. He would have sat there and smiled for me for days. His portrait really captured how handsome he is, and just how loveable his smile is!